Classmates can spend much of their waking lives alongside each other, taking notes, completing projects and participating in events. But for teens, getting to know one another is often the domain of intimate friendships or curated identities on social media platforms. 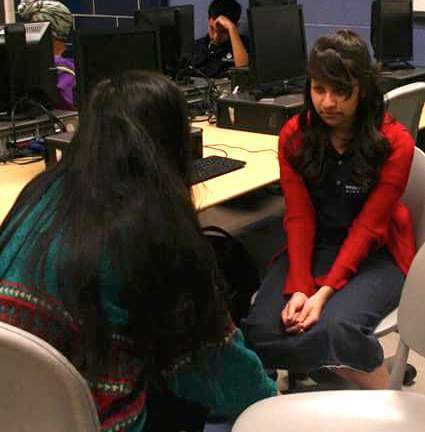 How well do students get to know one another and the people who are truly important to them? What kinds of deeper bonds are teens making with one another? Social science teacher Alex Fernandez is encouraging his students to think about these deeper experiences by spending one day a week discussing their own life stories and sharing them with classmates. At the end of the school week, he sits down with his students at World Language High School, in Chicago’s tough Little Village neighborhood, and invites them to talk about their futures. One recent Friday, Fernandez covered his classroom with photos of Latino, African-American, Asian and other minority adults, all involved in a variety of jobs. Then he attached to every picture a paragraph illuminating that person’s path to work. So many of his students lack what Fernandez calls a “template” -- or map for how to get to that future desired place -- and this exercise provides examples of real people who have found their way. During class, he told the students to examine the photos and stories and then find a person whose path feels familiar. “Then we had a conversation about why they picked that person,” Fernandez says. It’s all a part of a curriculum Fernandez trained for through StoryCorpsU, a learning and youth development program for troubled schools that StoryCorps founder David Isay launched six years ago. 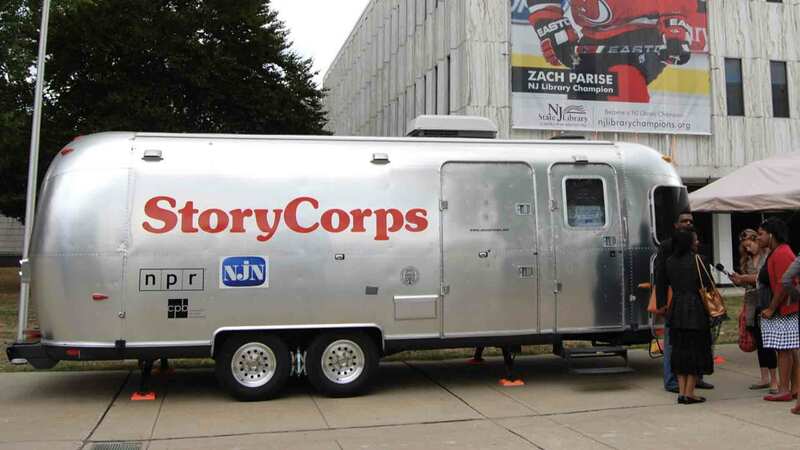 A nonprofit that invites people to conduct one-on-one interviews in designated recording booths around the country, StoryCorps has helped create a massive archive of personal stories told to and by ordinary people. The StoryCorpsU curriculum extracts the essence of Isay’s original venture -- the connectedness it generates through honest conversations about what matters -- and brings it to the neediest schools. Students embrace these StoryCorpsU classes, Fernandez says, and not just because they’re a diversion from the typical school day. “They get their stories out there,” Fernandez says, which humanizes them with their classmates. The three pillars of the curriculum -- Where have you been? Where are you now? Where are you going? -- invite them to reflect on what they want from life, and provide them tools to navigate what’s ahead. “They learn that the past can weigh you down, but if you have a growth mindset, you can change your life,” Fernandez explains. “They grow emotionally, as people." The special Friday classes also motivate the students to perform better during the first four days of the week, in part because of the bonds they’ve formed with each other and their teacher. “The students are more responsive to my teaching,” Fernandez says. “I hope they recognize how important their story is, and learn that their lives matter,” Isay says about the underlying purpose of StoryCorps and StoryCorpsU. Isay began StoryCorps in 2003 after years of producing radio documentaries that relied on dialogues for content. He saw how transformative such personal conversations could be, for interviewer and subject, and wanted to create something with a focus on the interview itself. He opened recording booths in U.S. cities, hired facilitators to help guide the discussions, arranged to store tapes of the conversations at the Library of Congress, and invited ordinary people to come in and interview someone in their lives. It has been a wild and unexpected success: Since it began, StoryCorps has collected and preserved more than 50,000 interviews, and a fraction of them are aired weekly on NPR’s Morning Edition. Interviewing someone you care about requires courage, empathy and the willingness to listen. “It’s a gift to someone else,” Isay says -- another contrast to the look-at-me nature of modern communication. Technology is no substitute for human wisdom, he adds, and StoryCorps aims to collect the latter. Such was the case for Myra Brown, 17, who interviewed her mother two years ago through StoryCorps, and whose memory of the encounter speaks to the power of these conversations. Myra’s mother, Bonnie, is intellectually disabled, and the two talked candidly about Bonnie’s condition and how it affected their relationship. Today, Myra describes the interview as a rare experience that she treasures not only because it’s permanent -- she has a tape of the recording that she plans to share, when the time comes, with her children -- but also because the impact of the conversation is lasting. “Once you’ve experienced interviewing someone you’re close to, it’s something that will stay with you,” she says. “It brought us closer, and let us know how close we already are." Teachers have long recognized the educational value of interviewing, but more recently some have integrated techniques they’ve picked up from public radio, including StoryCorps, to add richness to the assignment. Two years ago, Jennifer Klem-Clarke, a veteran seventh-grade language arts and social studies teacher at Marin Primary and Middle School in Larkspur, California, started asking students to tell someone’s life-changing story and then turn it into a podcast. She played snippets from StoryCorps in class to give students a feel for questions and tone, and gave everyone a long weekend in which to record and interview an older person whose life they wanted to honor. After turning that interview into a script, students created a podcast using a music creation app, and then spliced in music and sound effects in the style of Snap Judgment. “They were most anxious about how their classmates would react,” Klem-Clarke says. But once students got past the embarrassment of hearing their own recorded voices, they learned vital skills, and not just the technical variety involving apps and uploads. More important, they learned how to tell a true story with passion, to find a way to engage an audience, and to accept feedback from peers -- as well as the more prosaic matters of good storytelling, like knowing when to pause. And when students hear the stories, they learn that “celebrities are no more interesting than the rest of us,” as Isay puts it. One seventh-grader told the story of a great-uncle, who avoided being sent to a boarding school for the deaf because his parents fought to keep the family together. Another student explained how his grandfather happened upon the first astronauts to have orbited the earth; their space capsule fell into the ocean near the ship he was on, and his crew hauled in the astronauts. Another podcast by a student about his grandparents’ interracial marriage grew into a story about the civil rights movement. “He reminded his classmates that this was very unusual at the time,” Klem-Clarke says. The grandparents played the podcast at their 50th wedding anniversary. What’s sure to have a galvanizing effect on interviewing of all kinds is the availability of a StoryCorps app, which Isay just released in March. With support from the TED foundation, Isay created the app to spread the power of interviewing around the world. “It brings this interviewing technique to the 21st century,” Isay says. Once downloaded, the free app offers sample questions, provides tips for effective interviews and records the exchange, which is then preserved at the Library of Congress, just like the interviews conducted in booths, if those doing the interview wish to archive it. Already, the app has been downloaded by refugee groups, State Department officials, ebola survivors and a surprising number of young people around the globe, he says. But it’s in schools where Isay hopes to have the biggest impact. Alex Fernandez plans to use the StoryCorps app with his high school students in Chicago. “All the extra things I can have them do outside school!” he exclaims. More important than allowing for additional homework though, the App will make StoryCorps -- and the values it cultivates -- more available to schools everywhere, he says. It brings him back to why he went into teaching to begin with. "It’s the purest form of why we became educators,” he says. “Not for testing or scores, but to help them grow as human beings."